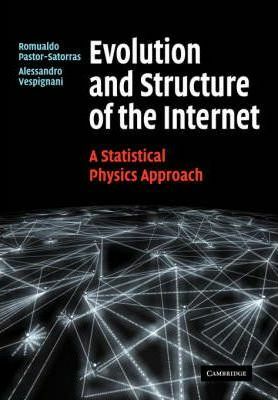 This book, first published in 2004, describes the application of statistical physics and complex systems theory to the study of the evolution and structure of the Internet. Using a statistical physics approach the Internet is viewed as a growing system that evolves in time through the addition and removal of nodes and links. This perspective permits us to outline the dynamical theory required for a description of the macroscopic evolution of the Internet. The presence of such a theoretical framework appears to be a revolutionary and promising path towards our understanding of the Internet and the various processes taking place on this network, including, for example, the spread of computer viruses or resilience to random or intentional damages. This book will be of interest to graduate students and researchers in statistical physics, computer science and mathematics studying in this subject.